We are experts in all aspects of financial services including; hedge funds, mutual funds, equities, fixed income securities, trading, investment management, marketing of such products and services, structures of such products, brokerage and investment strategy. 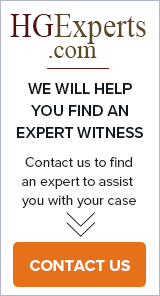 Extensive experience as expert witness and consulting witness. Areas include, but are not limited to: economic damages; valuation; executive compensation; stock options. We specialize in the research, application, implementation, and exposition of complex derivatives, structured products, risk management, and hedge funds. Walsh, Pfeffer & Co. provides litigation support (case evaluation & expert testimony) in disputes rooted in transactions of stocks, bonds, options, mutual funds, commodities, futures, or other derivative instruments, and mediation services.